In this week’s episode, Paul Lagerman, the Naked Physio, and I co-host a panel discussion live from the San Diego Pain Summit in San Diego, California. The summit is all about applying pain science to clinical practice and we were fortunate to have a few of the summit speakers, who all come from different healthcare backgrounds, join us to discuss how we should be addressing patients with chronic pain. **This is part 1 of our discussion. The conversation was good we had to split it into 2 podcasts! Chronic pain is complex and this discussion really benefited from having a multidisciplinary panel provide their diverse insights and experiences. As healthcare clinicians, we can help make sense of chronic pain in our patients’ lives but we need to deliver that information to them in meaningful and relevant ways. If you want to hear more from all of us, check us out on twitter! 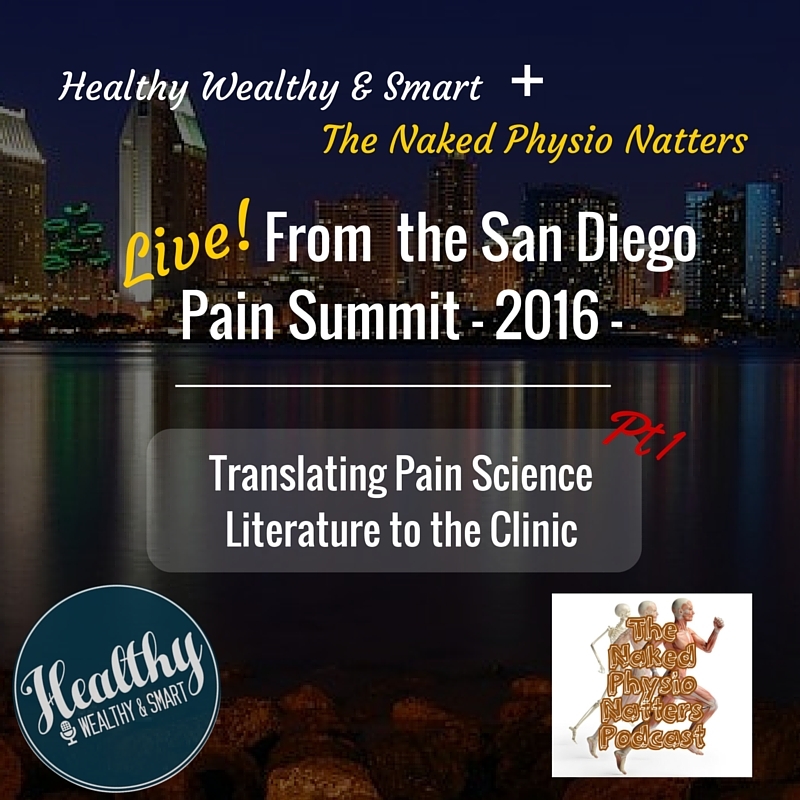 You can find some highlights from the summit with #sdps2016 and #sdpain. Thank you for listening and being a part of the Healthy Wealthy and Smart family! PS!!! In the intro I talk about a great way you can give back to a boy in Costa Rice who is in desperate need for a power wheelchair. Go to the GoFundMe page created by Jimmy McKay here.